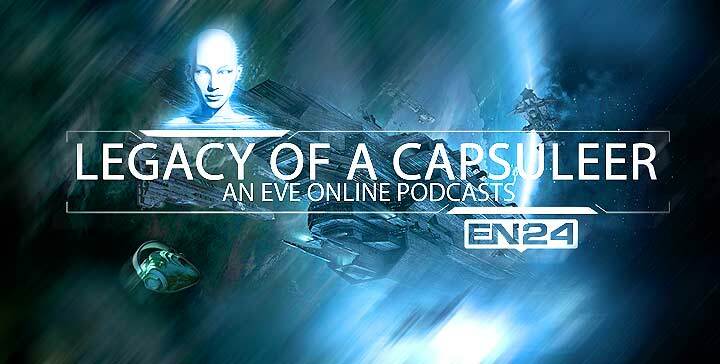 I hereby bring you Episode 3 of the Legacy Of A Capsuleer podcast. In this new episode the CEO of Noir. Mercenary Group [NMG.] Alekseyev Karrde joins me to talk about his Mercenary alliance and their PvP rookie training corporation Noir. Academy [NA.] and we go through how they go about doing things as mercenaries in Eve Online. Hello there. I discovered your web site by the use of Google at the same time as searching for a comparable matter, your site came up. It looks great. I’ve bookmarked it in my google bookmarks to visit then. Hi there. I discovered your website by the use of Google at the same time as searching for a comparable subject, your website came up. It seems to be good. I have bookmarked it in my google bookmarks to visit then. A lot of thanks for all of the effort on this web site. My mom delights in engaging in research and it’s easy to see why. We hear all concerning the lively method you offer useful ideas through your web blog and therefore recommend response from other ones on that subject and our own princess is in fact being taught a lot of things. Take advantage of the remaining portion of the year. You are doing a useful job. Hello there. I discovered your web site by means of Google while searching for a comparable topic, your web site came up. It appears great. I’ve bookmarked it in my google bookmarks to come back then. Hi there. I discovered your blog by the use of Google even as looking for a related topic, your web site got here up. It seems good. I’ve bookmarked it in my google bookmarks to come back then. Hey there. I discovered your site by way of Google while searching for a similar topic, your website got here up. It appears good. I have bookmarked it in my google bookmarks to visit then. Hiya, I’m really glad I have found this info. Today bloggers publish only about gossip and net stuff and this is actually annoying. A good website with interesting content, this is what I need. Thanks for making this website, and I will be visiting again. Do you do newsletters by email? Hiya, I’m really glad I have found this information. Today bloggers publish only about gossip and net stuff and this is really irritating. A good web site with exciting content, this is what I need. Thanks for making this site, and I will be visiting again. Do you do newsletters by email? Hiya, I am really glad I have found this info. Nowadays bloggers publish only about gossip and net stuff and this is actually annoying. A good blog with interesting content, that is what I need. Thank you for making this web site, and I will be visiting again. Do you do newsletters by email? Hey there. I found your web site via Google even as searching for a similar subject, your site got here up. It looks great. I have bookmarked it in my google bookmarks to visit then. Hey there. I discovered your blog by means of Google while looking for a related subject, your site got here up. It appears great. I have bookmarked it in my google bookmarks to visit then. Hiya, I am really glad I’ve found this info. Today bloggers publish only about gossip and net stuff and this is really annoying. A good web site with interesting content, that is what I need. Thanks for making this web site, and I will be visiting again. Do you do newsletters by email? Hi there. I found your site by means of Google whilst looking for a comparable subject, your web site got here up. It looks great. I’ve bookmarked it in my google bookmarks to visit then. Hey there. I found your website via Google at the same time as looking for a related subject, your website came up. It seems to be good. I have bookmarked it in my google bookmarks to visit then. Hello there. I found your site by way of Google at the same time as searching for a similar matter, your web site came up. It appears to be good. I’ve bookmarked it in my google bookmarks to come back then. You can certainly see your expertise within the work you write. The arena hopes for even more passionate writers like you who aren’t afraid to mention how they believe. At all times go after your heart. Hello there. I found your blog by way of Google whilst searching for a related topic, your website came up. It appears great. I have bookmarked it in my google bookmarks to come back then. Hello there. I found your site by the use of Google even as looking for a comparable topic, your web site got here up. It appears to be good. I have bookmarked it in my google bookmarks to come back then. Hiya, I’m really glad I have found this info. Today bloggers publish just about gossip and web stuff and this is actually irritating. A good blog with exciting content, that’s what I need. Thank you for making this web site, and I’ll be visiting again. Do you do newsletters by email? Leave a Reply to home remodeling Click here to cancel reply.